Gunn & Moore is delighted to announce the signing of Dan Lawrence who has committed to using GM products for the 2019 season and beyond. "I am really excited to join Team GM and I can't wait to get going this English summer, using some quality kit and hopefully scoring a lot of runs,” said Lawrence. “Seeing the bats that my club captain Ryan ten Doeschate and Tom Westley keep receiving made the move to GM a sensible choice. I am looking forward to going up to GM HQ in Nottingham to spend time with the craftsmen and women, and the rest of the team to get the best kit available moving forward." Lawrence is one of the England's brightest prospects, having made his debut in 2015 at just 17 years old. In just his second First Class match he made a chanceless 161 against Surrey, announcing himself to the cricketing world by being the third youngest centurion in the County Championship’s long history, Essex’s youngest ever first-class centurion and the youngest centurion at The Oval. 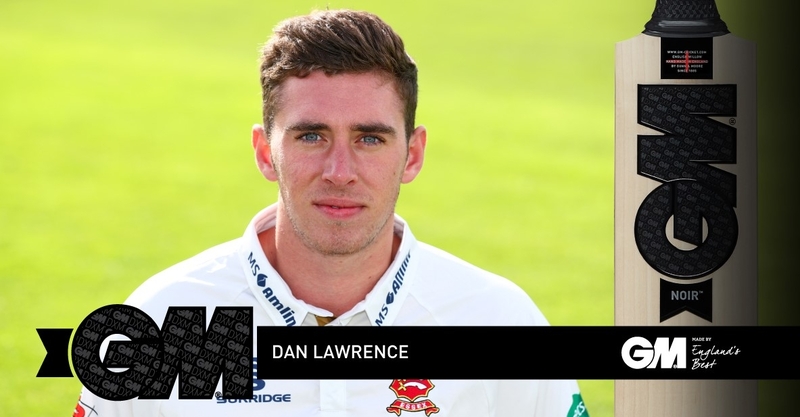 Since then, Lawrence has continuously proven himself at the professional level, culminating in him winning Young Cricketer of the Year by the Cricket Writers' in 2017 as his newly-promoted Essex side won the County Championship for the first time in 25 years. That season saw him score 761 runs at an average of 44.76, including three pivotal hundreds. "I could not be happier to bring Dan Lawrence to Gunn & Moore. Dan, in my eyes, is a real diamond of a cricketer, he really excites me and is well established as a main stay in the Essex 1st team,” said GM's Head of Sponsorship, Richard Harris. “Dan definitely has the potential to play international cricket and we hope we can assist him in achieving this goal. He has a certain flair that is suited to all forms of cricket and his current First Class record speaks for itself, with 7 first class hundreds in just 40 games as a 21-year-old. Hopefully this year, with the help of the Noir L555 DXM, we will get to watch Dan fly." 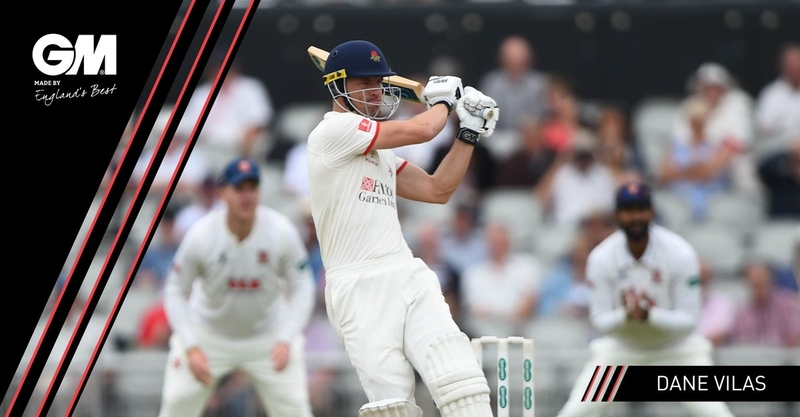 The Essex prodigy will be hoping to emulate his County and GM teammate, Tom Westley, who represented the England Test side in 2017. Having already made his England u19 and England Lions debut, Lawrence is already well on his way to making it at the highest level. Gunn & Moore are thrilled to welcome George Hankins to the GM family for the 2019 season. 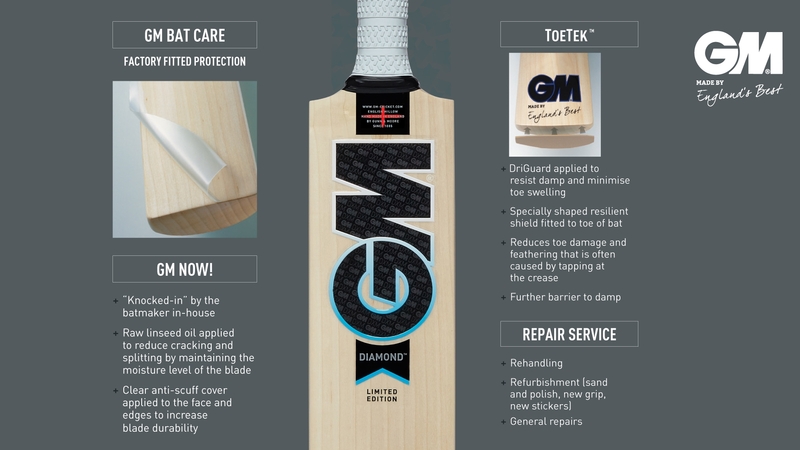 The Gloucestershire batsman has made a long-term commitment to use GM equipment as he aims to cement his place in the County side in all three formats with the help of the Mythos L540 DXM. The 22-year-old former schoolboy prodigy announced his arrival on the County scene with a 116 in 2016 against Northants and his stock continues to rise after finishing last year’s top run-scorer in the Royal London One-Day Cup, with 291 runs at an average of 58.20 and a high score of 92 against Kent. 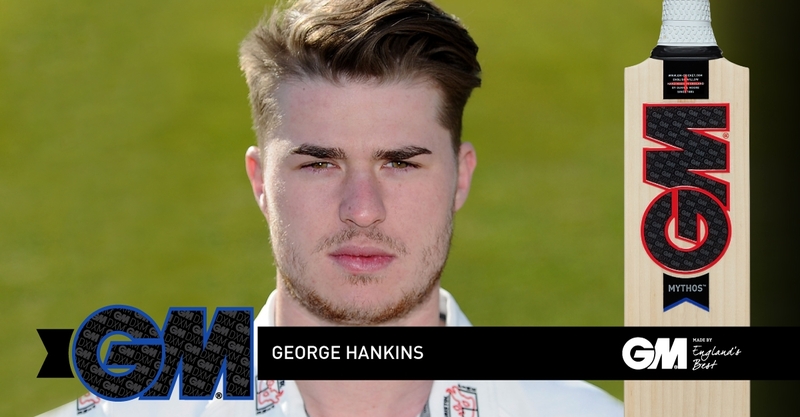 "I am excited to join up with GM for the start of the 2019 season and looking forward to play with this prestigious cricket brand,” said Hankins. “I very much look forward to being able to come up to Nottingham and visit the factory to see my bats made first-hand, a process I have heard a lot about." His white ball performances in 2018 earned him a two-year extension with Gloucester and a call-up to the ECB XI to face a strong India A side, adding to his previous appearances for the England u19 Development side and the England u-19s, for whom he earned Player of the Series in a limited-overs series against Sri Lanka in 2016. 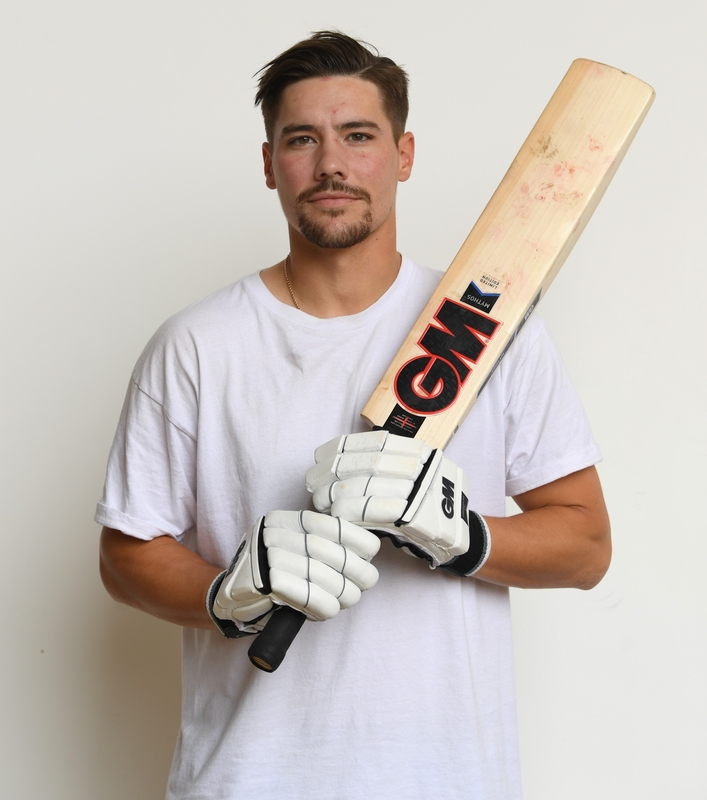 Gunn & Moore is delighted to announce that Middlesex and England opening batsman Sam Robson has signed a long-term deal to use GM equipment for the upcoming season 2019 season and beyond. 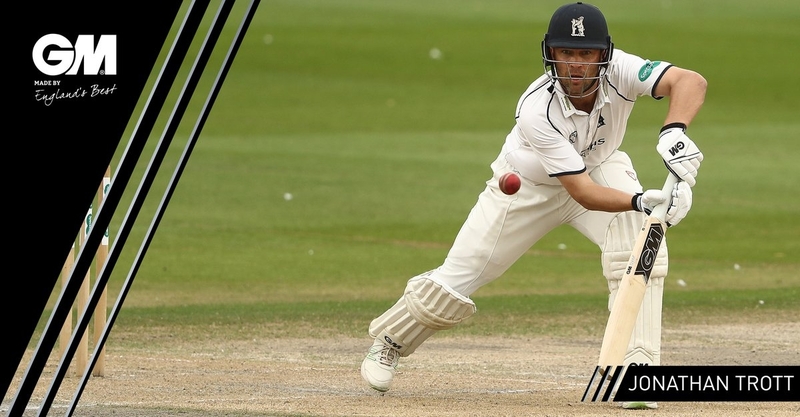 The Middlesex vice-captain already has one of the most enviable cricket CV’s in the County game with 21 First Class hundreds, including a Test Match hundred against Sri Lanka in just his third international innings. "I'm excited to be using such a famous name as Gunn & Moore,” said Robson. 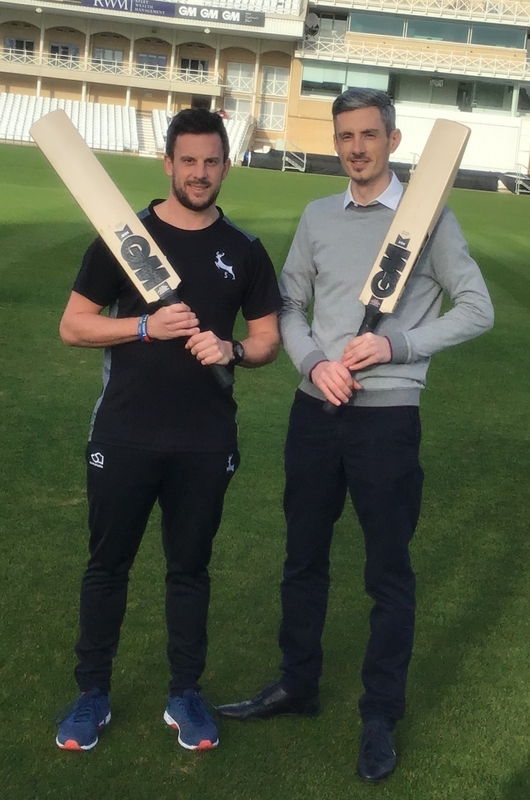 “After having a tour of the factory and meeting Richard and the team, I can't wait to get out there for Middlesex in April using Gunn & Moore bats." Robson represented Australia at u-19 level, but it was England that came calling in 2014 thanks to a lengthy run of form, notching 1,300 runs in the 2013 season at an average of 47. 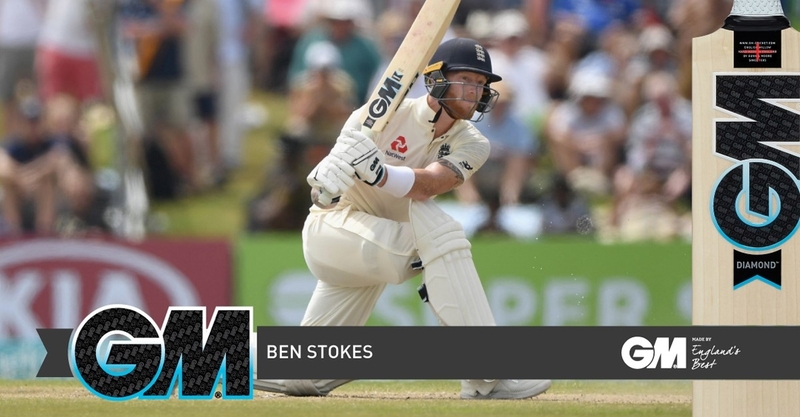 To date he has earned 7 Test caps for England scoring 336 runs against Sri Lanka and India, a record he is keen to add to with the help of the new Noir L555 DXM. "We are naturally delighted to have the chance to work with Sam moving forward,” said Richard Harris, GM’s Head of Sponsorship. “Sam has the ability to score a huge number of domestic runs and we look forward to providing him with the tools to achieve his goal of playing international cricket again." In 2016 he was pivotal in Middlesex’s County Championship title win, scoring 899 runs at an average of 45 with three hundreds, including his highest First Class score of 231. The 29-year-old also holds a unique record, having scored the earliest First Class hundred in the UK and the first in March, against Durham MCCU on 31 March 2012. 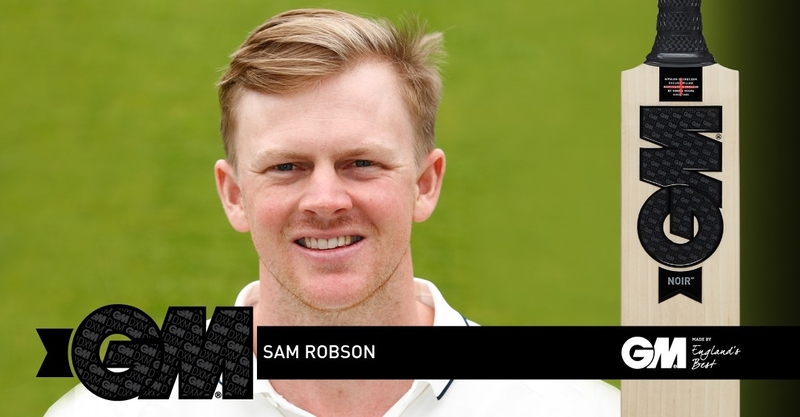 2019 promises to be a big season for Robson and Middlesex as they seek promotion back to Division One of the County Championship. He will take the field alongside his captain and fellow GM teammate Dawid Malan, as the pair hope to lead the way for their side with the help of the new GM 2019 range. It’s been quite the year for Dane Vilas. Not content with a summer which included an unbeaten 235 against Somerset, he can now add Club Captain for two different sides to his already accomplished CV. After a stellar 2018 County Championship season, in which he racked up three hundreds and 792 runs, the South African wicketkeeper-batsman has been named as Lancashire County Cricket Club’s captain after finishing as the team’s leading run-scorer. The 33-year-old captained the side four times last year in the Championship and in his short tenure as a Lancashire player, having signed a Kolpak deal in 2017, has quickly become a fan-favourite. Vilas said: “I’m absolutely delighted to have been offered the opportunity to become Lancashire captain and I feel honoured and humbled to be in a position to lead the Club forward in the coming years. “Lancashire has a proud and distinguished history and it’s a privilege for me to be part of writing the next chapter in the Club’s history. Vilas used the Neon L540 DXM last season with great success and will continue to use it this winter after also being named as captain for the Jozi Stars in the Inaugural Mzansi Super League, the Twenty20 franchise cricket tournament in South Africa. He will line up against some of the biggest names in cricket in what promises to be a thrilling competition. "I’m absolutely delighted to have been offered the opportunity to become captain of the Jozi Stars and I feel honoured and humbled to be in a position to lead this T20 team in the upcoming Mzansi Super League,” he said. The relationship with GM and the Vilas family has grown from strength-to-strength over many years as his family own Opal Sports, the South African distributors for GM. 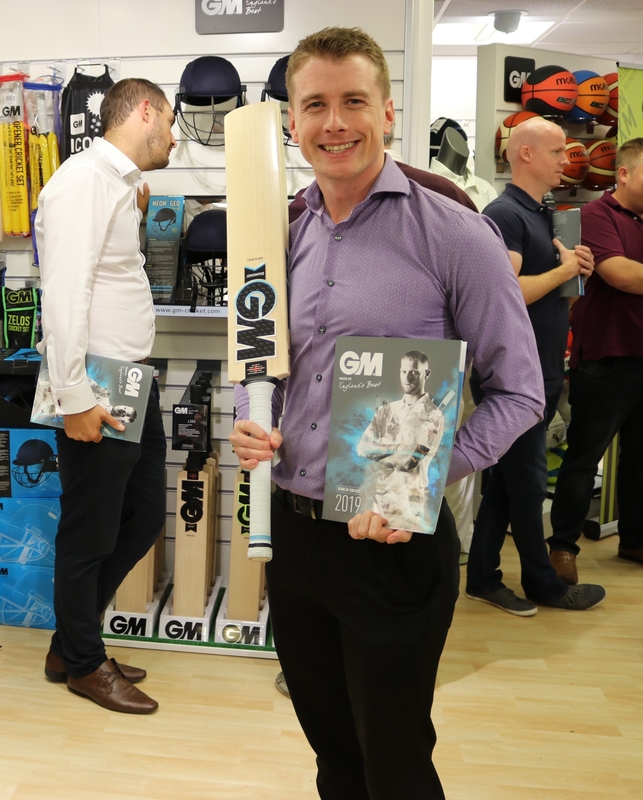 His brothers Brad and Guy attended this year’s GM 2019 product launch, no doubt keeping Dane in the loop about which bat caught their eye the most for him to use in 2019. According to the picture from the launch, Guy seems to approve of Ben Stokes’ new Diamond range. Rory Burns Debuts Mythos Range in Galle! 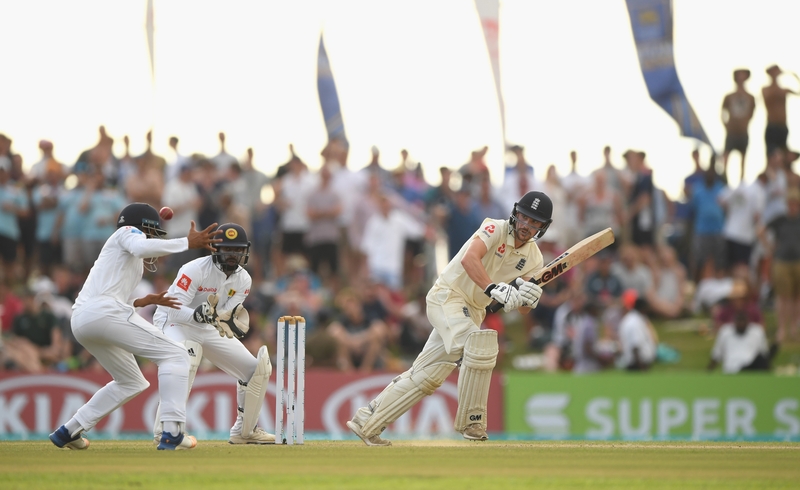 GM would like to extend many congratulations to Rory Burns who has added another accolade to his impressive collection this week by making his Test Match debut in Galle, Sri Lanka to become England’s 688th Test player. 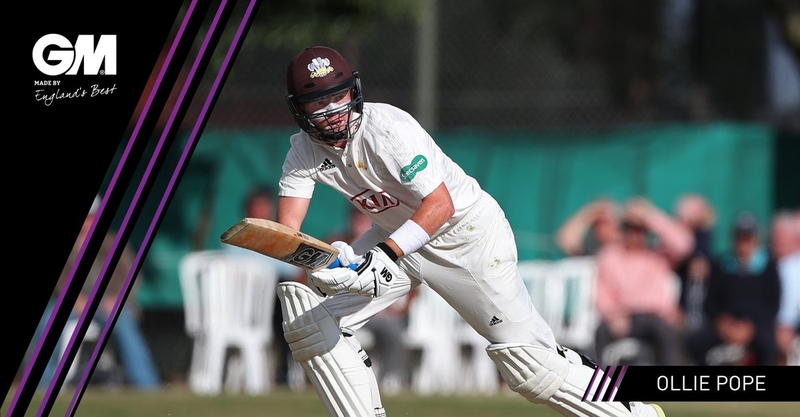 The Surrey captain has had an incredible 2018 to date, scoring 1,359 runs at an average of 64.71 in the County Championship on his way to lifting the Division One trophy with his impressive South London side. Burns has long been earmarkerd as a future England player thanks to his remarkable consistency over the previous seasons, passing the 1,000 run mark consecutively for the last five campaigns at the top of the order. His call-up to the national side is nothing short of well-deserved and if you ask us, perhaps a touch overdue! Burns is just the latest GM player to make his England debut this year, following in the footsteps of Dom Bess and Surrey teammate Ollie Pope in representing the Three Lions in the longest format. Unlike the other two, Burns, along with Ben Stokes, will be the first to use a bat in the 2019 GM range. Burns will be using the Mythos L540 DXM this season, which features a dynamic sweet spot, shortened blade and substantial edges, leaving little to the imagination with its large edges running along the entire blade of the bat. Highlighted by the pronounced spine profile and lower to mid swell, you can expect big runs from this big bat over the winter and into the 2019 summer. The Mythos’ concaved back profile allows for a superb pick-up, making it the perfect bat for those who like to play big shots all around the ground and is available in eight different grades from 303 to Original L.E. and made In England from Prime English Willow, meaning the perfect Mythos for you is never far away. At Gunn & Moore, it’s important to us to offer a range of bats suitable for every player from professional to beginner, whilst also being able to assure every GM customer that the bat itself is of unparalleled quality. In fact, we’re so proud of our production quality we’ve launched the campaign #NothingToHide, illustrating the confidence we have in all of our English Willow cricket bats. 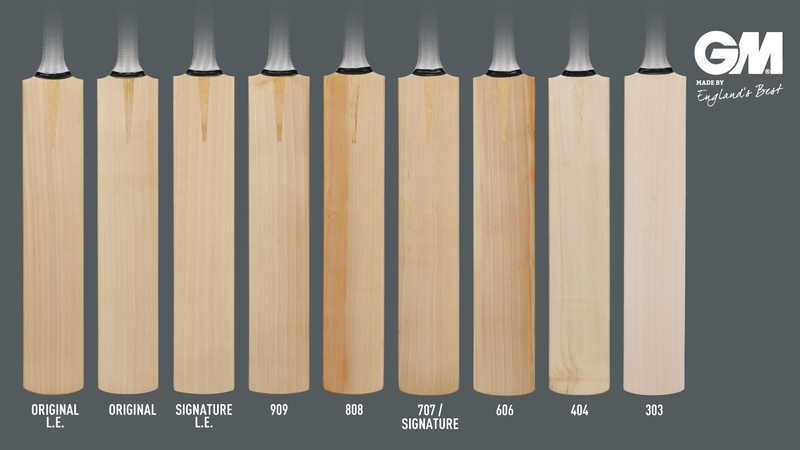 In our catalogue we publish an image of our bats displaying each grade with no logos on at all, just the willow in all its glory, which is shown in the picture below and on our social media platforms. The quality of willow is of the upmost importance in batmaking, but of equal importance to us at GM is the care we put into each English Willow bat that leaves our factory. All of our English Willow bats provide factory fitted protection thanks to GM Bat Care. The GM Now! Service encompasses all of our bats being “knocked-in” by the batmaker in-house, before raw linseed oil is applied to reduce cracking and splitting by maintaining the moisture level of the blade, whilst an clear anti-scuff cover is applied to the face and edges to increase blade durability. ToeTek DriGuard is applied to resist damp and minimise toe swelling, which in turn also reduces toe damage and feathering that that is often caused by tapping at the crease. You may be wondering why we list each English Willow bat with ‘DXM’. Our world leading DXM process implements the findings of a 5 year research programme into bat materials and manufacturing technology. Substantial investment in research, expert advice and machinery means a superior wood conditioning improves the stability and consistency of willow pre-production.. 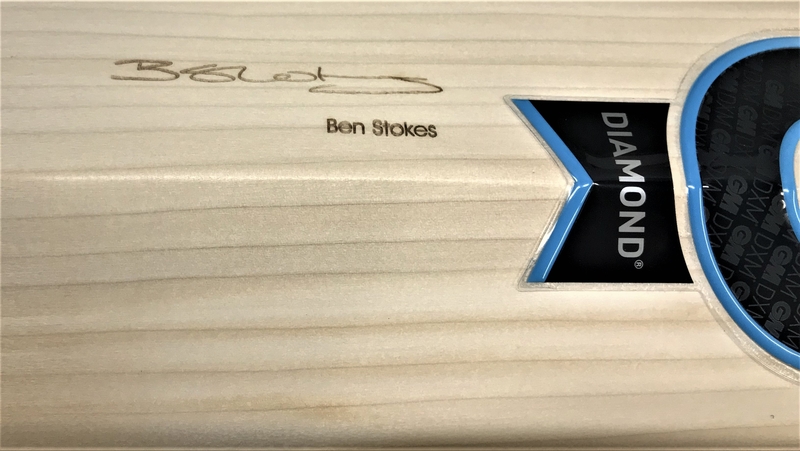 Thanks to our industry-leading technology, we are able to offer a fantastic range of bats, ensuring that somewhere in our range is the perfect bat for you as our range of bats is designed to suit every technique and budget. GM 2019 Adult bats feature two different blade lengths – L540/555. Each blade shape is optimised for a specific blade length. As blade length decreases, handle length increases so that the overall length of the bat remains constant. Shorter blades allows for faster hands through the ball, more dynamic sweet spots, larger swells, supreme balance and explosive power. Selecting a cricket bat is a very personal decision. There are no right or wrong bats, the bat to choose is the one that feels most comfortable for you. We recommend that you always feel the bat before you buy it and that you pick up several bats before making your final choice. All GM DXM English willow bats are made by our own craftsmen in our own factory in Nottingham, England. GM 5 Star dealers carry a wide range of GM bats and will give sound advice. We offer English willow bats in nine qualities with each developed around different grades of willow. 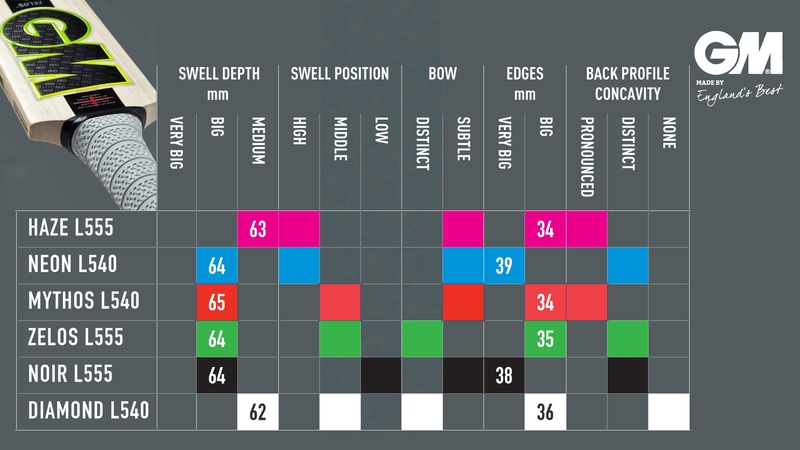 Below, is the accompanying text to that afforementioned photo which takes you through each grade that we offer, with an explanation of why each bit of wood is graded differently and what we at GM look for when grading a bat. Pope Wins Big At PCA Awards! 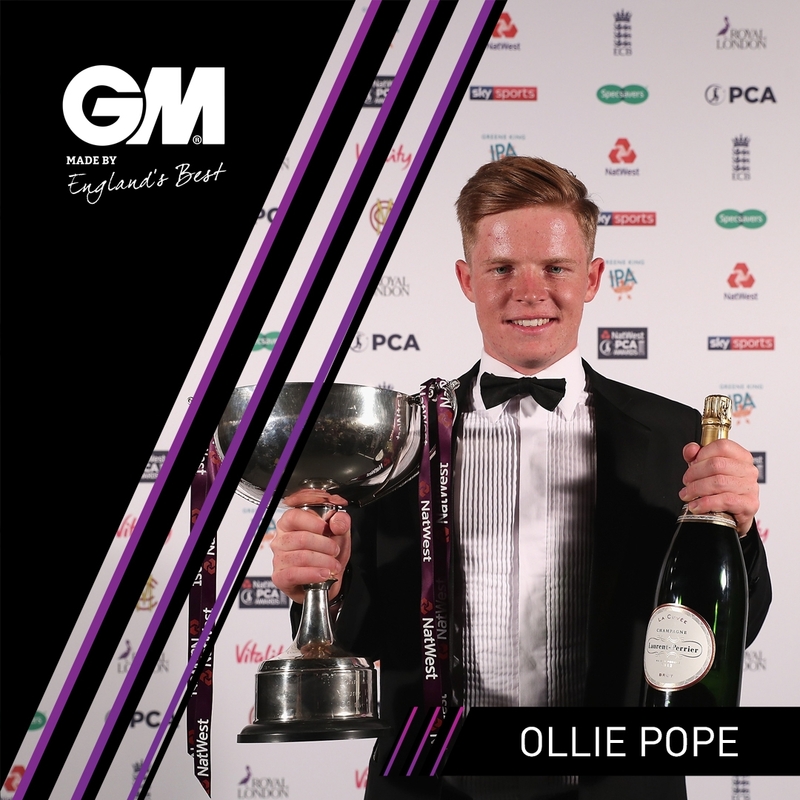 GM would like to extend huge congratulations to our very own Young Gunn, Ollie Pope, who last night was awarded the Natwest PCA Young Player of the Year award. In the County Championship, Pope scored 986 runs from just 16 innings, averaging a Bradman-esque 70.42 as his Surrey side stormed to the Championship Title, losing just one match along the way. He finished with a fantastic hundred, his fourth of the year, against Essex to round off an incredible summer. Pope’s fairy tale 2018 season culminated in a call-up to England’s Test Match squad against India in August playing in the second and third Tests of the 4-1 series win, making an assured 28 in his debut innings. Winning the PCA Young Player of the Year means Pope has followed in the footsteps of the likes of Alastair Cook, Joe Root and Ben Stokes who have all previously won the award. He added; “Voted for by his fellow professionals, this a deserved and fitting way to cap off a wonderful 2018 season for him. Congratulations, Ollie, from everyone at GM." The 20-year-old’s dream season has also been rewarded with another Test call-up for the forthcoming series in Sri Lanka, where he will joined by fellow GM teammates Ben Stokes and his Surrey captain Rory Burns. "It's a special year, whether that be getting my call-up or more importantly, winning the Championship and contributing in that successful side," Pope said. "It's obviously an exciting time for county cricket and this country in general. It's incredibly special and this makes it even more special. Coming from players we play against is awesome." Pope was not the only GM winner on the night as four GM players were named in the Greene King Team of the Year; Lancashire’s Alex Davies and Dane Vilas, Hampshire’s James Vince and Pope’s Surrey teammate Burns, who was also named as captain of the side. Greene King Team of the Year: Rory Burns - captain (Surrey), Alex Davies (Lancashire), Joe Denly (Kent), Ian Bell (Warwickshire/Birmingham Bears), James Vince (Hampshire), Moeen Ali (Worcestershire), Dane Vilas - wicketkeeper (Lancashire), Rikki Clarke (Surrey), Ed Barnard (Worcestershire), Matt Henry (Kent), Morne Morkel (Surrey)Pope was not the only GM winner on the night as four GM players were named in the Greene King Team of the Year; Lancashire’s Alex Davies and Dane Vilas, Hampshire’s James Vince and Pope’s Surrey teammate Burns, who was also named as captain of the side. 5th Test, Day 3, Saturday 22 August 2009 is the date Jonathan Trott cemented his spot in the England Test team with a century on debut against Australia. It marked a period of stability that English cricket has desperately craved since his final Test Match in 2015 against the West Indies. At the peak of his powers, the mere mention of the word ‘Trott’ brought calm and poise to every English cricket fan, knowing that if he was at the crease for the day, so too would England be. Statistics rarely tell the whole story, though Trott's do a pretty good job to dispell that theory. He enjoyed a fabulous career of 52 Test Matches, 9 hundreds and almost 4,000 runs at an average of 44.08. And yet his importance to English cricket in one of their most dominating periods between 2009-2013 was much more than that. His infamous appetite for runs and just his sheer presence at the crease allowed the more flamboyant and free-flowing figures in English cricket, such as Kevin Pietersen and Ian Bell, to flourish. Trott’s Test career included 3 Ashes victories, most memorable of all being the 2010/11 series in Australia in which England emerged victorious for the first time since the 1986/87 series. Trott averaged 89 with the bat in the series, scoring two hundreds along the way to notching up 445 runs as England took the series 3-1. Some of Trott’s idiosyncratic mannerisms became infamous during his career. In particular, his incessant scratching of his batting guard at the crease meant that in some of his longer innings (of which there were a fair few! ), rather than the traditional small line most batters make to take guard, Trott would scratch away as if he were digging a trench, seemingly readying for battle with the next ball. Despite sporadic complaints from frustrated captains over the years, there certainly appeared to be method to his approach when he completed 1,000 runs in Test cricket one year and one week after he made his debut. Since he announced his retirement earlier in the season, there have been a number of tributes from teammates past and present, highlighting the legacy that Trott the man and batsman has left on cricket in England. The former England star signed off in typical style by helping Warwickshire to the division two title last week, as the 37-year-old continued to score prolifically for Warwickshire and only just missed out on posting 1000 runs in his final season in domestic cricket. He will be sorely missed here at GM, and we will cherish all he has done for English cricket. The easiest way to promote a bat is to have a world-class player raise it to the crowd to acknowledge the applause, and Trott did that more often than most. But more than that, Trott was a fantastic ambassador for the sport and commanded respect from all corners of the cricketing world, and for that we thank him.